Resuscitators are portable medical devices which temporarily augment ventilation during ventilatory insufficiency or ventilatory failure. 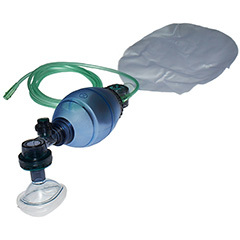 The resuscitators are available in different sizes, to accommodate animals of various sizes, and contain a duck-bill valve in the non-rebreathing valve (with or without pressure limiting valve). An adequate reservoir bag is used with the ventilation bag when the oxygen gas is supplied to the animal. 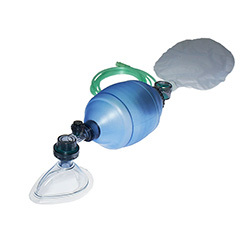 All of the resuscitators come with mask to be used as a port to receive the animal’s connector of the resuscitator. The device should only be used by persons who have received adequate training and instructions from qualified personnel.